Prepare Fillets: Pat fillets dry with paper towels. Sprinkle fillets with salt and pepper. In nonstick 12-inch skillet, heat oil over medium-high heat until hot. Add fillets and cook 2 to 3 minutes for medium, turning steaks over once. Transfer fillets to an oven safe pan and bake at 400 degrees for 10 minutes or to desired doneness. When fillets are done, transfer to platter with any juice; cover with foil. Prepare sauce: In the skillet, heat oil over medium heat until hot. Add red onion and 1/4 cup water and cook about 5 minutes or until onion is tender, stirring occasionally. Stir in balsamic vinegar and another 1/4 cup water; heat to boiling over medium-high heat. Boil 1 minute or until slightly reduced. Remove skillet from heat; stir in jam, parsley, and pepper until blended. 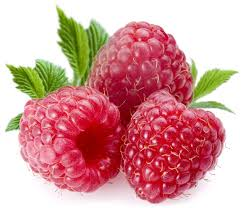 Return fillets with their juice to skillet, and the fresh raspberries; heat through.